Tattooing is the best way to express your individuality and the way of thinking. Tattoos may not be very loud or visible always. Getting a tattoo on your ear or in the ear area is not the most popular area. But, it does not mean that you should neglect these areas. Thousands of ear tats designs are available today, which shows the popularity of this area. You can select the best one at the right place. Adoring human body with tattoos and piercing is an old age custom. Historical research reveals that the Egyptians identified tattooing with nobility and fertility during 4000 to 2000 BC. 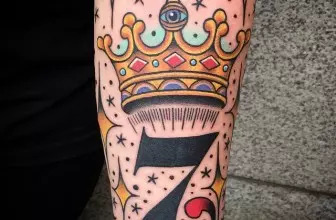 Tattooing became very popular during the early 2000s. Tattoo lovers think that it is the indication of psychology of self mutilation, belonging, independence and defiance. Tattoos create permanent marks on various areas of your body. 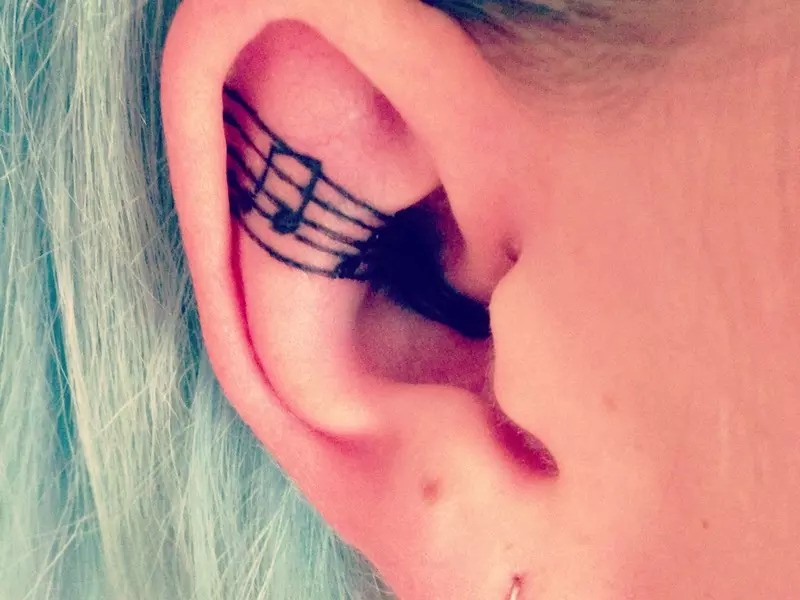 Some people think that tattooing near their ears is a great idea. But, some others just avoid it because of the fear of pain. 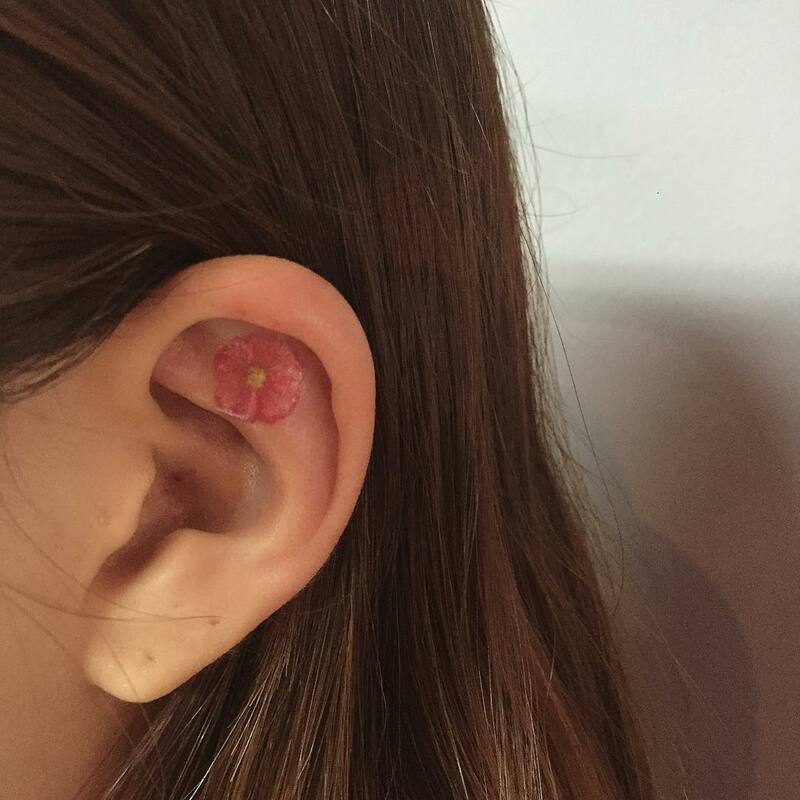 Truly, ear area is an important place to get tattooing. This area looks very attractive if you ink it perfectly. Ear area is also perfect for expressing different types of feelings. It has the power to express feminine, masculine or powerful feelings. These are possible by making a little change in the details. Usually, tattoo design on ear area is very small. 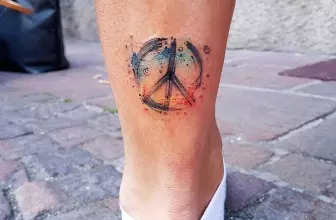 Therefore, it is the best place for those who want to get just one tattoo design. 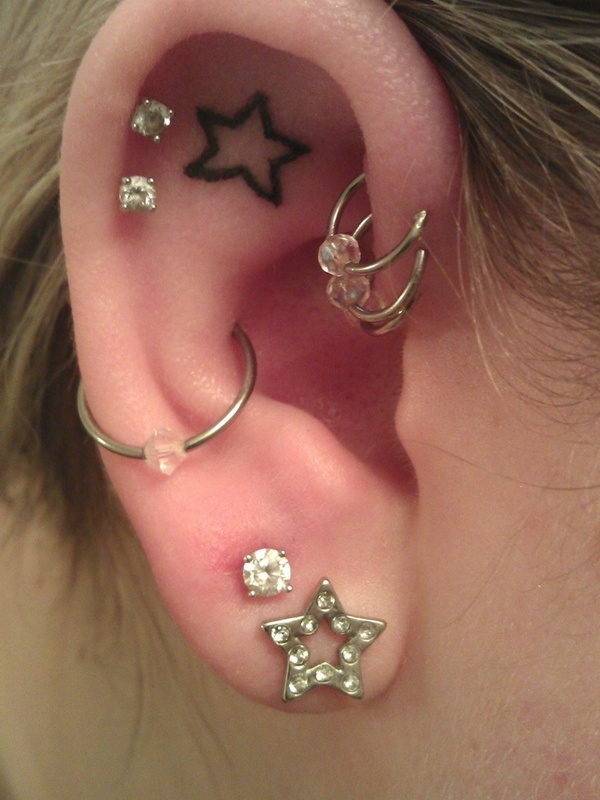 If you are not interested in ear piercing, but want a visible look, ear tattoo is perfect for you. You are tattooing your body for expressing your whole life. So, it should be beautiful and meaningful. You can select a design that is perfect for displaying your personal tastes and your character. It is not easy to erase tattoos from your neck and face. So, you must select it very carefully. 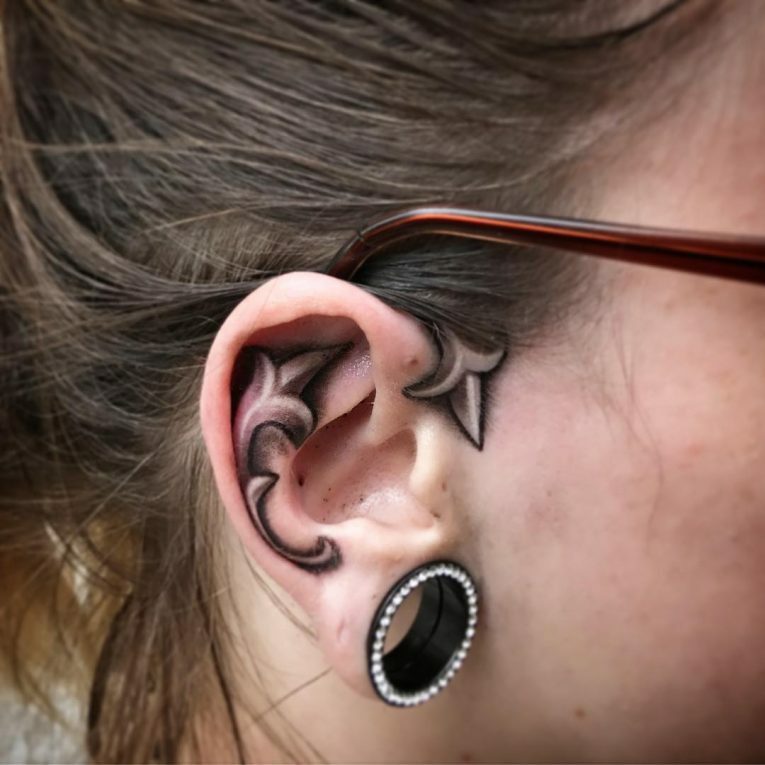 You can design ear tattoos in different styles. It can be cute and small on your ear lobe, a professional or developed design that covers your whole ear, a secret and essential one, a long design that starts from the tip of your ear and reaches to the neck, etc. You can also design them in 3D style. You should also select the color of your ear tattoo carefully. The color should match each other. Mostly, bright and vivid colors are selected for behind the ear tattoos. While women select small and cute behind the ear tattoos with bright colors, men prefer darker and larger ones. You can select various types of symbols while designing ear tattoos. Zodiac signs, hearts, leaves, bow, flower, butterfly, doves, cartoon heroes, or small animal images are suitable for women. However, many people like to craft quotes behind their ears. Quotes are eye catching and they also contain something that you want to express. Meaning of the ear tattoos depend on the theme you select. If you want to design a cartoon hero image, people may think that you are a cartoon lover. When you select a quote, you want to express something very important. 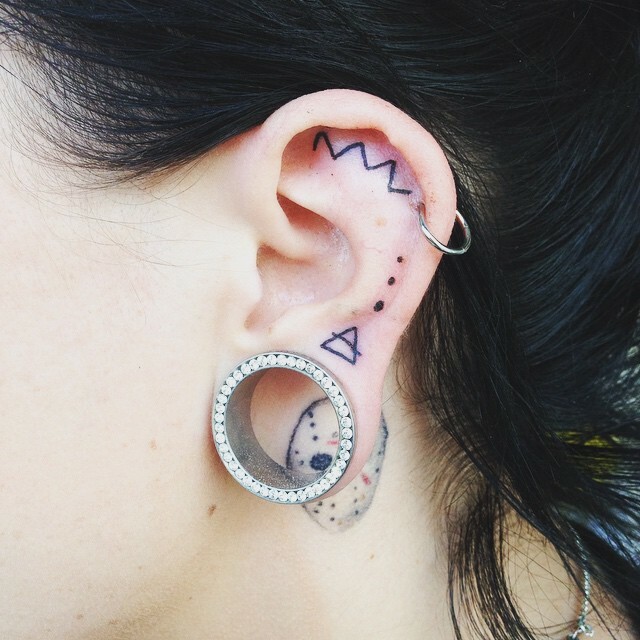 If you are serious about tattooing on your ear, you should consider smaller ones. First of all, the area is very limited. You must also consider the talent of an artist. You can do some research to get some mind blowing results. 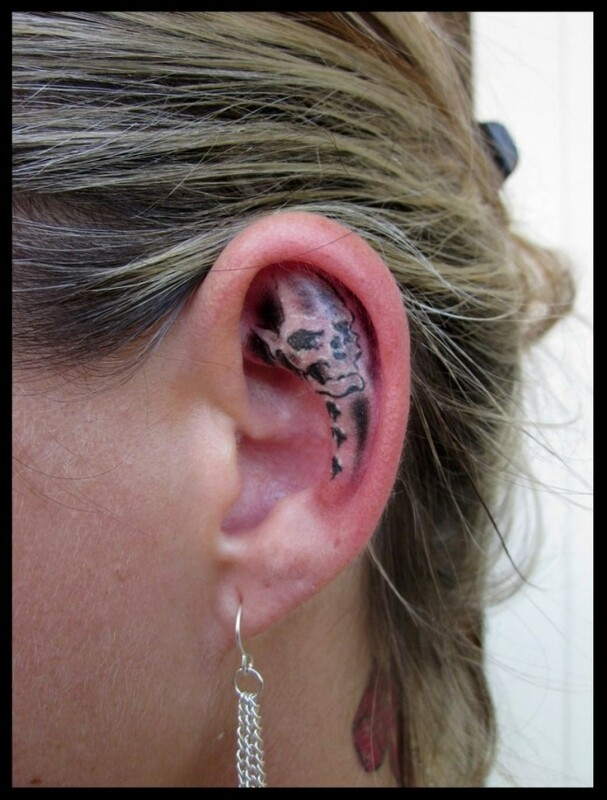 You must also consider the motivation behind getting an ear tattoo. Once you done it, you have to live with it in your entire life. 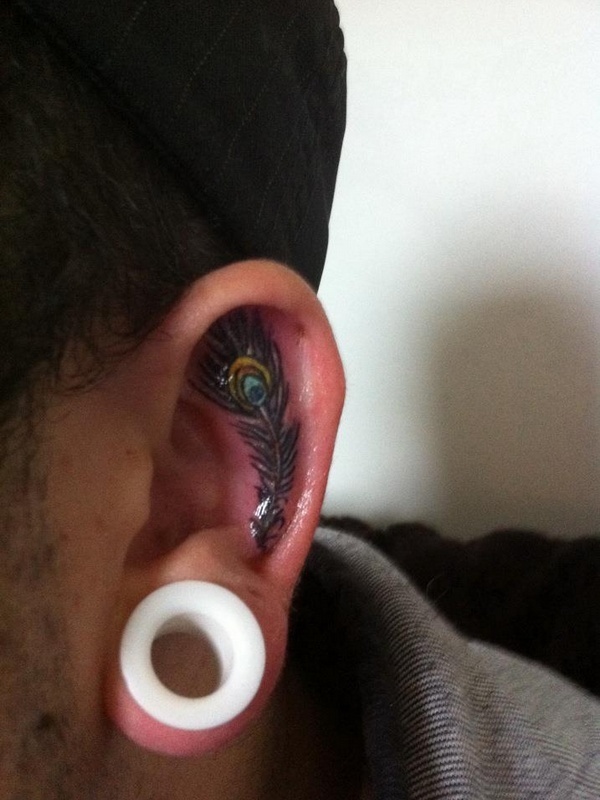 You must also consider the pros and cons of tattooing on your ear. It should not be the outcome of an impulsive decision. You must take time to reach a conclusion regarding why and what design should be considered. If you prepare carefully, you can select a tattoo that has implications on your future. It is not easy to conceal a tattoo, which is done on your face or neck. It will be visible always. So, you must be prepared to answer the questions of others. If you have considered all the factors seriously, you can do the research for getting the best design. You can talk to the artist regarding the pain and cost factor. You can also select designs of favorite hobbies or symbols. Some people select their favorite sport or game to depict on the back of their ear. You can also craft the name of your favorite basketball club, equipment of a favorite game, etc. These designs are small enough to fit nicely behind your ear. You can select some words that express different emotions, carry certain identities or communicating certain messages. Some people tattoo their both ears, while some others prefer to design only one ear. There are also certain preferences in the selection of right or left ears. But it is not a problem for a large number of people. Ear area is not big enough to design giant tattoos or highly intricate patterns. The size of a tattoo is determined by the physical area of your ear. 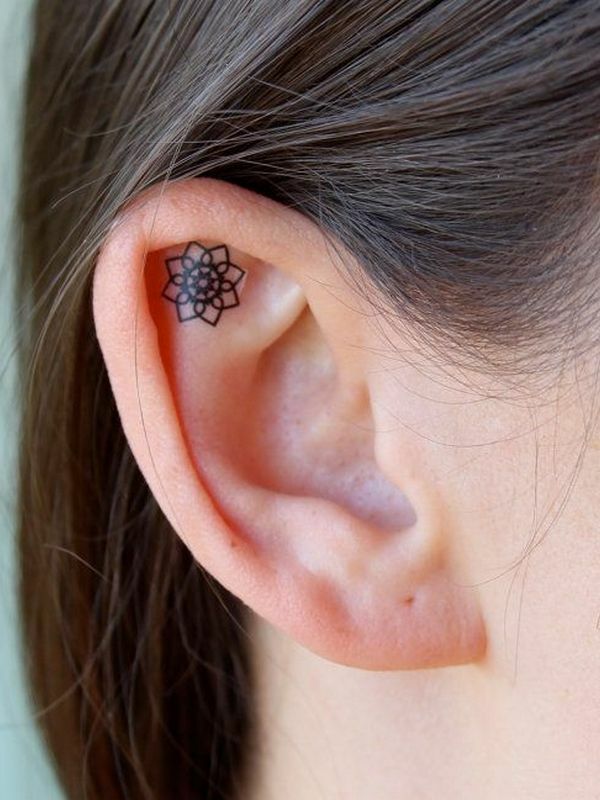 Therefore, most ear tattoo designs are very small. You can place tattoos near or around your ear depending on the size. Curvy and unique shape is the peculiarity of the ear. So, you can create a subtle and comforting design in this area. Some type of wire or vine pattern can be considered. This will compliment the shape of your ear as well. 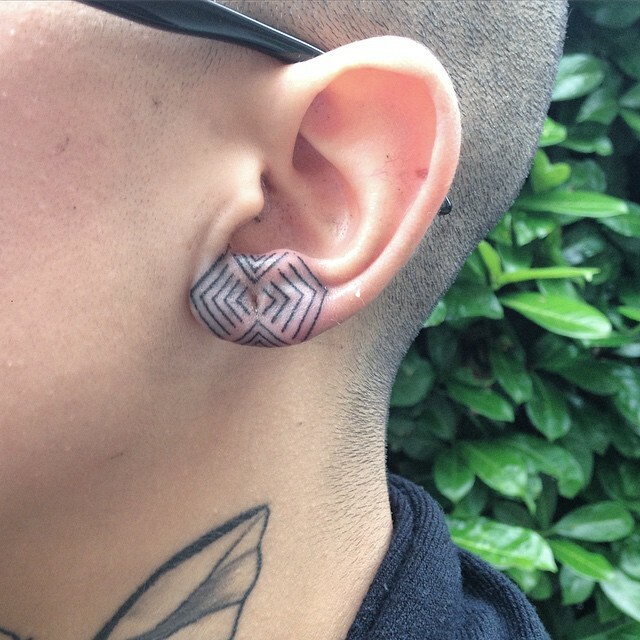 Combined pattern of Celtic knots can be designed in your ear. Small shape on the earlobe is a good idea for those who like simpler tattoo piece. Certain patterns can be accommodated on the inside area of your ear. 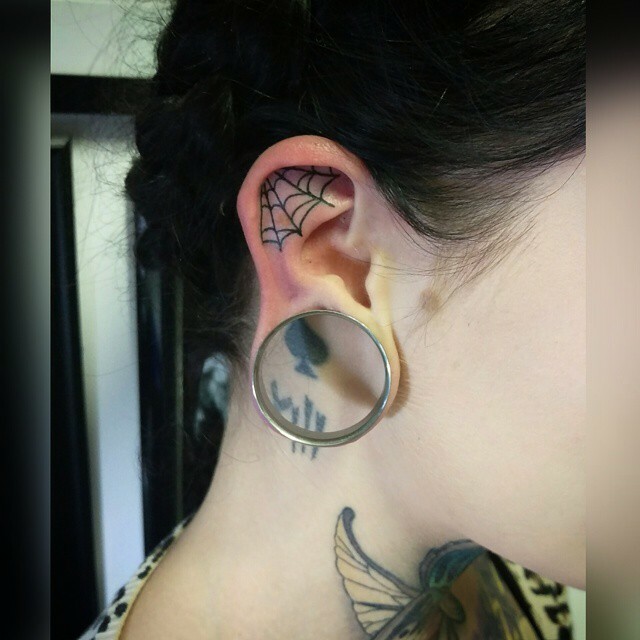 So, you can consider a ghoul or gothic design inside your ears. 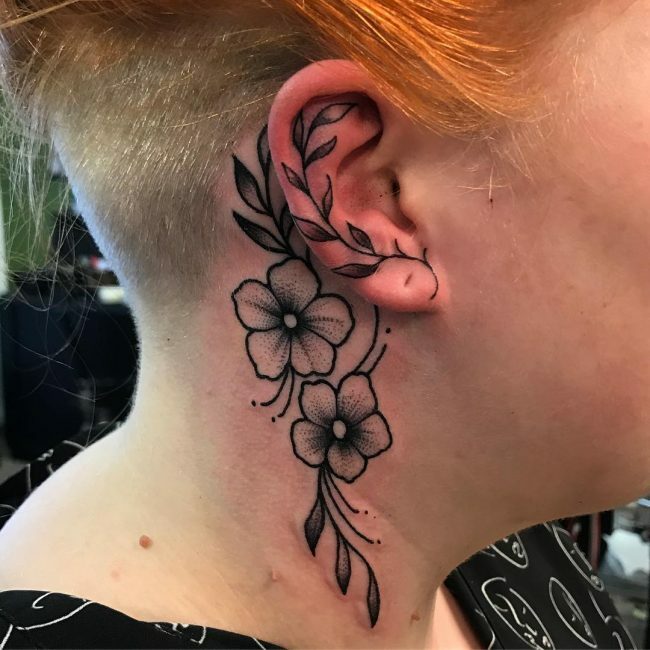 Behind the ear is a common location for tattoos. Small patterns can be designed in this area. If you are interested, you can design this area with hearts, stars, diamonds, mixed shape patterns, flowers, infinity signs, etc. Tattooing near the ear can be very painful. This area is highly sensitive as well. Some people may experience migraine, dizzy spells and headaches due to the sound and vibrations. 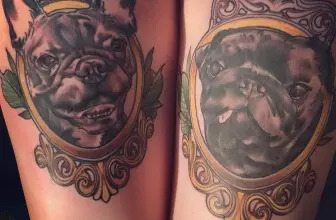 Whatever may be the area of tattooing, you must do a thorough research before doing the art. 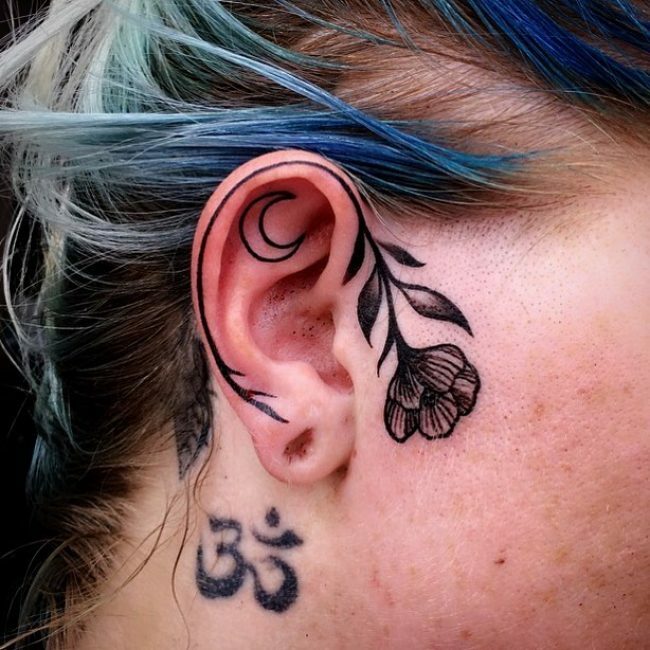 Ear tattoo is one of the most sensitive types. Therefore, you must find a highly skilled and efficient artist to do the task. Ear area is also very visible, so you should create a stunning piece. If you like ear tattoo but hesitate to do it, you can consider applying a small henna design or a temporary tattoo. This is also a good idea to get a little enjoyment.